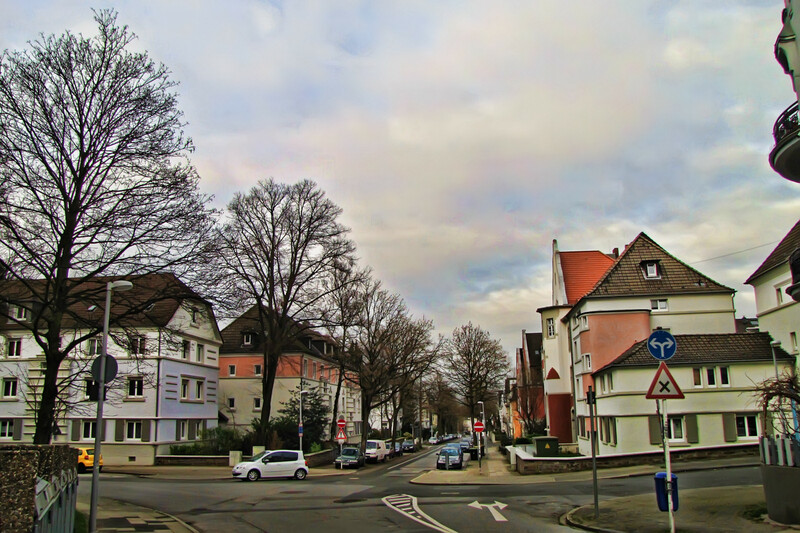 A view back down Mülheim’s Kämpchenstrasse across the intersection in the reverse direction I showed in the previous photo. Have a look at the colour version too for the new paint scheme the houses have received some years ago. I may have a photo somewhere showing how shabby they looked before!